Recently Google made game-changing headlines when they announced that beginning July 2018, mobile page speed will now play a major factor in mobile search ranking. Yes, besides making plans for watching the fireworks this Independence Day, some SEO professionals will be also keeping a close eye on their organic listings. Time to understand what this really means for your website and for its organic ranking in mobile results. 1) What is mobile page speed? Mobile page speed is important to your business. Every year mobile consumption takes a larger chunk of the pie compared to desktop, hence the higher chances you have to lose traffic if your site’s speed is not meeting consumers’ expectations. Mobile page speed also becomes important to Google as their overall goal is to show the most relevant, user-friendly experience for consumers searching with any device. Hence, slow mobile page speed can hurt your organic mobile rankings. 2) How does the Google algorithm change? Google’s algorithm is constantly changing and evolving. It’s like the flu with a new strain spurting every new season. The recent “Speed Update”, as Google calls it, is said to affect pages that deliver the slowest experiences to users. Google assures us that the “intent of the search query is still a very strong signal, so a slow page may still rank highly if it has great, relevant content”, but they advise developers to be mindful of a broad range of performance metrics – mobile page speed being one of them. 3) How can I measure the mobile page speed on my site? There are a couple of tools we recommend exploring, as these have been developed by Google themselves and are aligned with this particular search engine. To test how fast on average your site loads, try Google’s Mobile Page Speed Tool. To test whether your site is mobile friendly, try Google’s Mobile-Friendly Test Tool. 4) How to prepare for Google’s “Speed Update”? A. The first step you need to take to ensure that this new update does not affect your site negatively is to get your mobile page speed tested. Knowing where you stand will help you with the next steps. Just like when you get tested for strep throat, a positive result tells you that you need to get treatment. Google evaluates mobile page speed in 4 categories: Excellent, Good, Fair, and Poor. A site with 6 second load time is estimated to lose 24% of visitors. B. If your site’s speed is poor you must take measures to fix it by reaching out to your site developer or to a trusted web development agency. 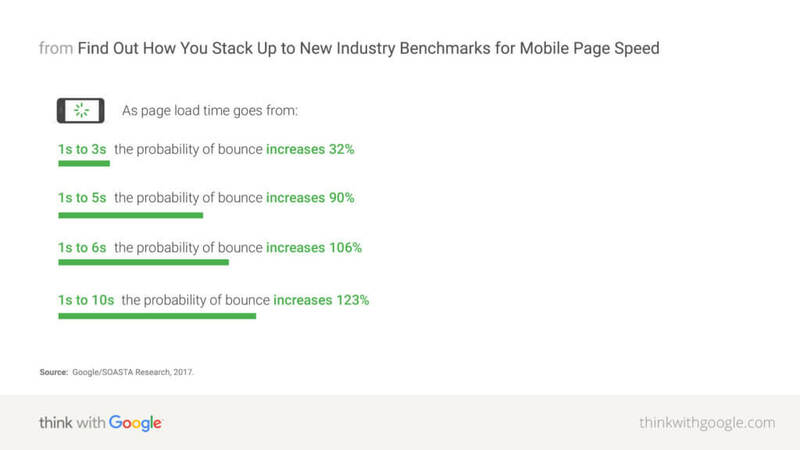 5) What factors affect mobile page speed? There are a number of factors that affect the speed of a page, some internal and some external, or some more within your control and others not within your control. One factor that is out of your control or even that of a developer is the network speed through which the consumer is accessing your site. According to Google, “70% of cellular network connections globally will occur at 3G or slower speeds through 2020”. So, let’s not stress in vain for that part of the equation. Two other factors that will affect mobile page speed are within your control and can be addressed by your site admin: site architecture & web hosting. While page speed has been previously a signal in Google’s algorithm, this most recent update specifically takes into account mobile page speed and would use it for mobile search rankings. 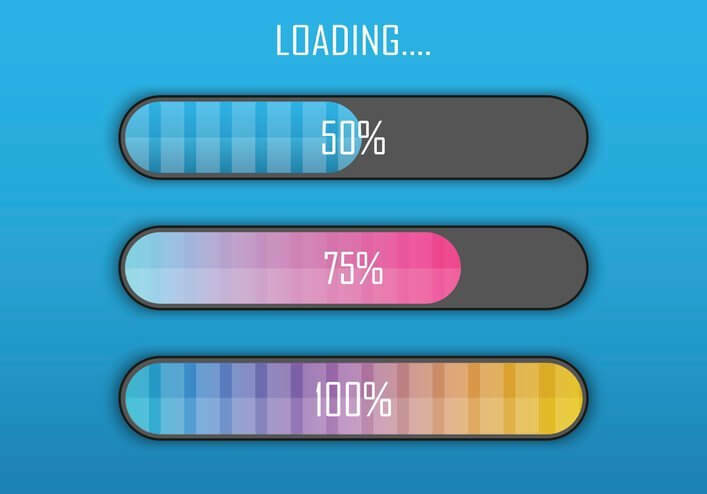 As mobile usage becomes more prevalent across various industries and demographics, it is inevitable to pay attention to the “Speed Update” and ensure that your site provides a top-notch mobile optimized experience.